ST. GEORGE — On Election Day, a majority of Utahns voted for medical marijuana legalization. Proposition 2, the medical marijuana ballot initiative, holds 53 percent of the vote, according to unofficial returns posted on the Utah Elections website as of Wednesday afternoon. 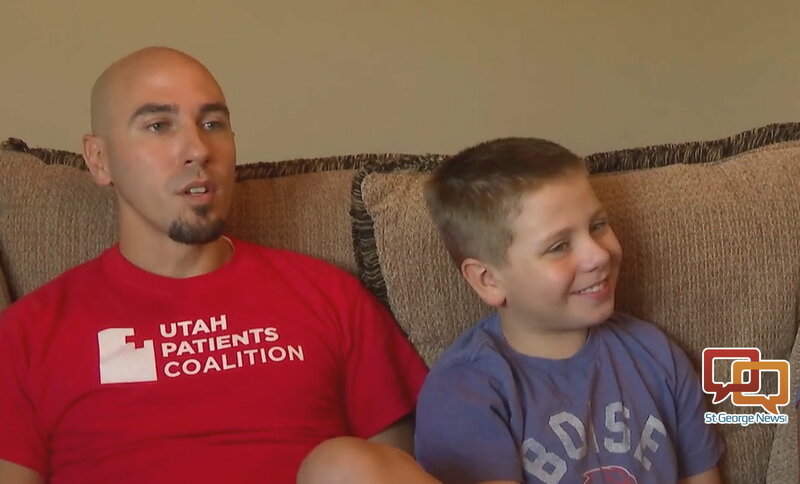 TRUCE Utah, a medical marijuana advocacy group, held an election watch party Tuesday night in anticipation of the Proposition 2 passing. Passage of Proposition 2 adds Utah to over 30 other states that have legalized medical marijuana. “We are stoked, super-excited and optimistic,” David Cromar, a former Utah resident whose family now resides in Colorado, told St. George News Wednesday. David Cromar and his wife Mandi have been strong supporters and campaigners for the medical marijuana initiative that become Proposition 2. Their 11-year-old son Holden has a rare form of epilepsy that, at one point, was causing him to have up to 100 seizures a day. The Cromars originally moved to Colorado in 2013 to get their son access to legal marijuana-based medications that had helped reduce Holden’s seizures, David Cromar previously told St. George News. The family moved to St. George in 2017 to be closer to family and campaigned to get as many signatures in favor of the ballot initiative as possible. However, due to Utah’s laws allowing limited use of medical marijuana in the form of CBD oils, the Cromars decided they needed to move back to Colorado so Holden had access to a wider array of medical marijuana-based products. 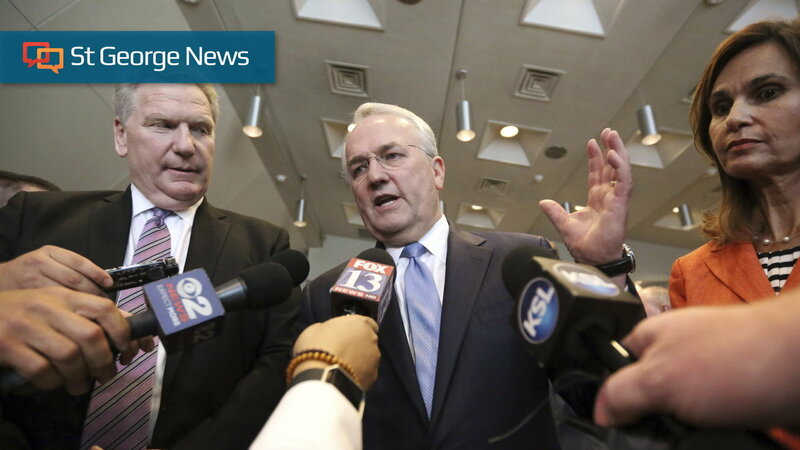 They couldn’t wait on Utah to make a decision, David Cromar said. Now, seeing the results of election night, Cromar said all of the work he and others put into campaigning for Proposition 2 was worth it. Yet, like other medical marijuana advocates, Cromar has some concerns about the compromise legislation recently drafted by state lawmakers and medical marijuana advocates. “There’s definitely concern there, that it will make things more challenging for patients,” Cromar said. The compromise bill was introduced at an Oct. 4 press conference in which Gov. Gary Herbert said he would call a special session of the Legislature to address the issue after Election Day. Herbert said he planned to call the session regardless of Proposition 2’s final status. 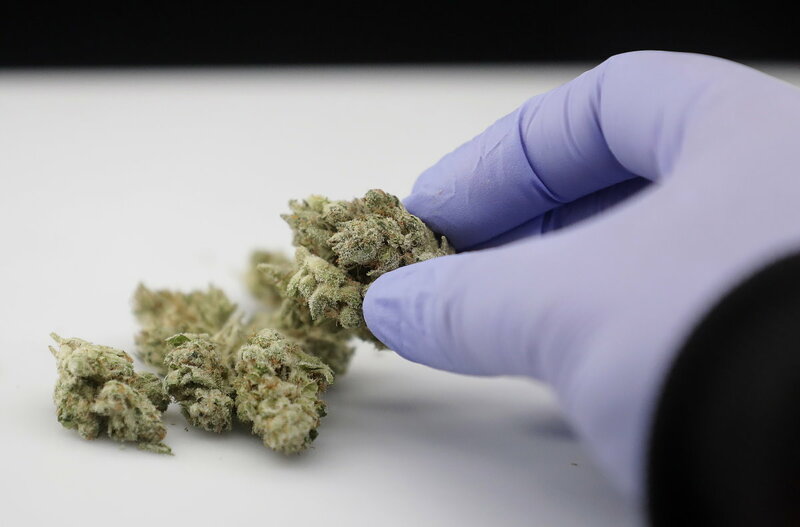 If Proposition 2 failed, the proposed bill would still provide a pathway to legalizing medical marijuana use in the state on a much broader scale than previously allowed. If the proposition passed, the proposed bill would overwrite parts of the ballot measure considered too broad and under-regulated by opponents like the Drug Safe Utah Coalition and The Church of Jesus Christ of Latter-day Saints. While opposing Proposition 2, LDS church officials said the faith was in favor of medical marijuana, but not necessarily how the ballot measure would bring it about. Among Proposition 2’s ardent supporters who also helped shape the compromise bill is Libertas Institute president Conner Boyack. He said one of the reasons for the compromise was to help keep state lawmakers from proportionally hijacking Proposition 2 with legislative revisions afterward. “I am worried that the Legislature will pick it apart,” Cromar said. Unlike the ballot initiative, the compromise bill won’t allow people to grow their own marijuana if they live too far from a dispensary. It also doesn’t allow certain types of edible marijuana that could appeal to children, like cookies and brownies. The list of qualifying medical conditions allowing a patient to access medical marijuana has been revised, as have elements surrounding how long medical marijuana cards remain valid. The state will also allow the establishment of five privately-owned medical marijuana pharmacy-like facilities. The state will also create a single state-run dispensary that will fill patients’ medications and ship them to their area health departments for pickup. The Libertas Institute, a libertarian think tank that has been heavily involved in crafting Proposition 2 and the compromise bill, provides an overall breakdown of the proposed legislation on its website. Depending on how the proposed compromise may affect Proposition 2, Cromar said it is good the ballot measure passed, as it “a huge step forward” for Utah. Cromar reported that his son is much better since they returned to Colorado where he has greater access to marijuana medications. There has been a reduction in seizures and Holden is also more emotionally stable, he said. While Proposition 2 garnered a 53 percent majority vote statewide, it failed in Washington County where 55 percent of voters shot it down. According to an update from the Utah Elections website Wednesday evening, over 278,000 absentee ballots have yet to be processed across the state. Washington County accounts for 15,128 of those ballots. The election results may be subject to change as the lingering ballots are processed and finalized. Why would anyone deny medical marijuana to reduce seizures? That’s just uneducation. The CBD oil does not get anyone high. Marijuana does, but so do your oxycontin, Percoset, Lortab, and all your other opiods. One difference; find me a case where a coroners cause of death was: marijuana or marijuana overdose with Marijuana being The cause of death. My son who was in a near fatal car accident he damaged 3 areas of his brain he now has seizures and other issues. He smoked marijuana he said it makes his head overheat it’s part of his brain injury. Everyone is different I wish people would remember that.